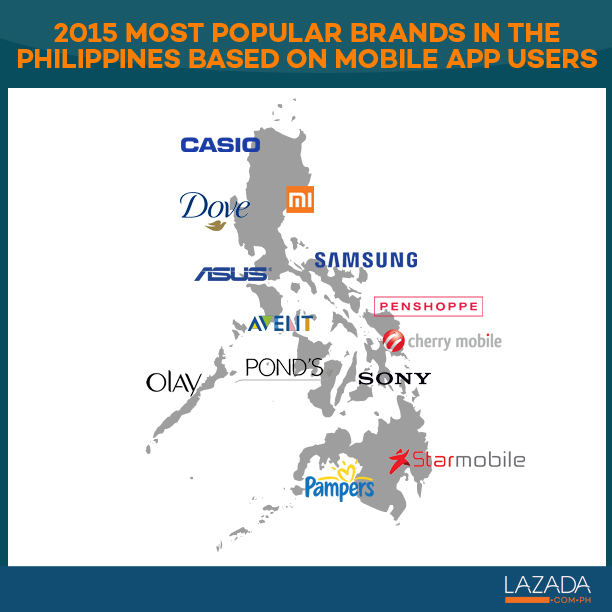 MANILA, Philippines - What brands are Filipinos buying online? 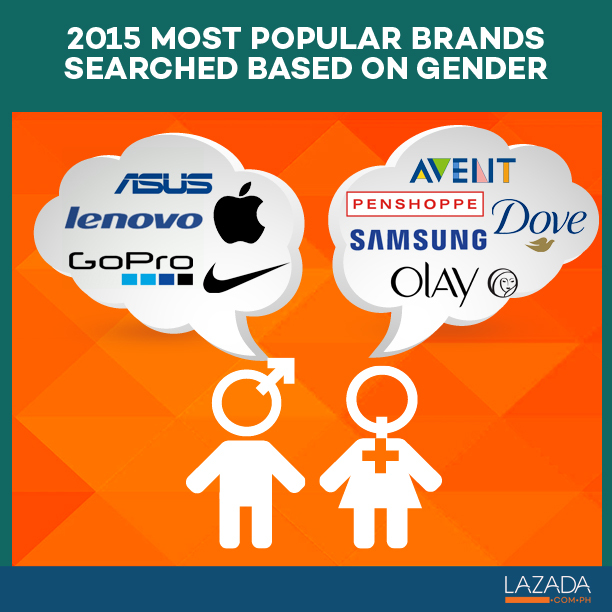 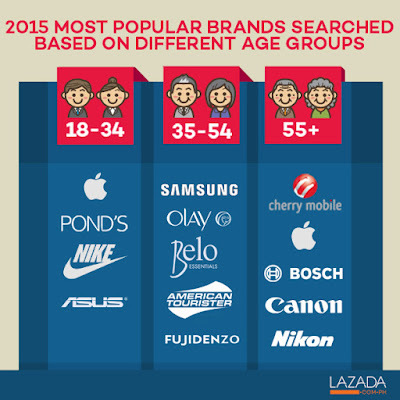 Online shopping mall Lazada has revealed the the 2015 most popular brands searched based on different age groups, gender, mobile app users and search giant Google, Lazada and top social networking site Facebook. 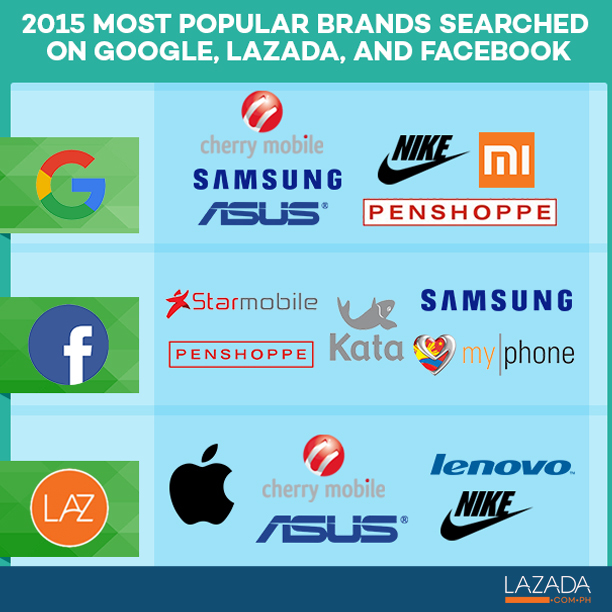 In a recent study, Penshoppe, ASUS, and Cherry Mobile showed strong affinity with online shoppers evidenced by local Google search results as well as search and sales within the Lazada website and mobile app. 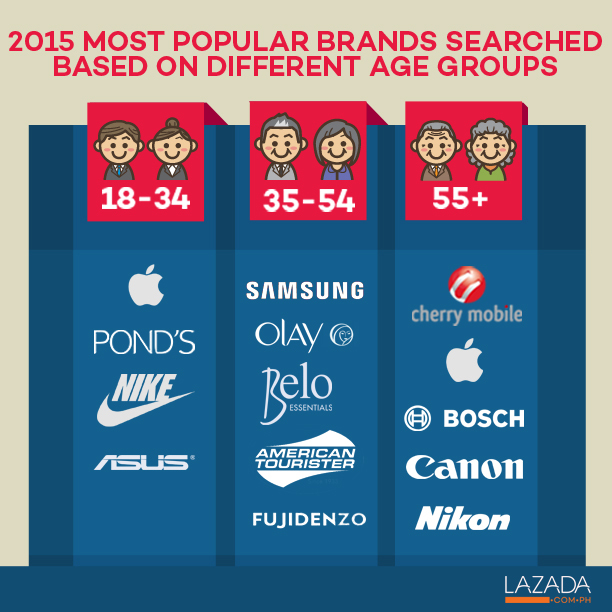 Camera brand Canon and power tool brand Bosch remains to be popular among consumers aged 55 and above. The rest of the findings are illustrated in the infographic below. 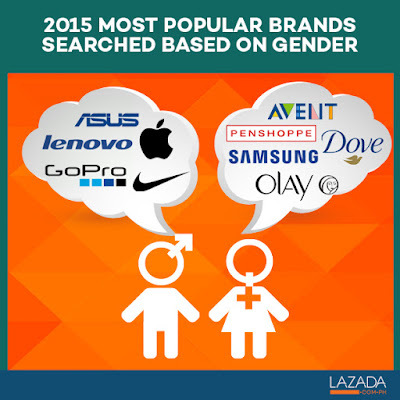 "The number of consumers looking to buy beauty products online is increasing,” says Khristine Santos, Customer Development Manager of Belo Essentials. This September 15-17, Lazada, together with its brand partners, is staging its first brands and sellers’ Showroom offering exclusive discounts of as much as 80% on select bestselling items across all categories- both available on desktop and in the Lazada Mobile App.